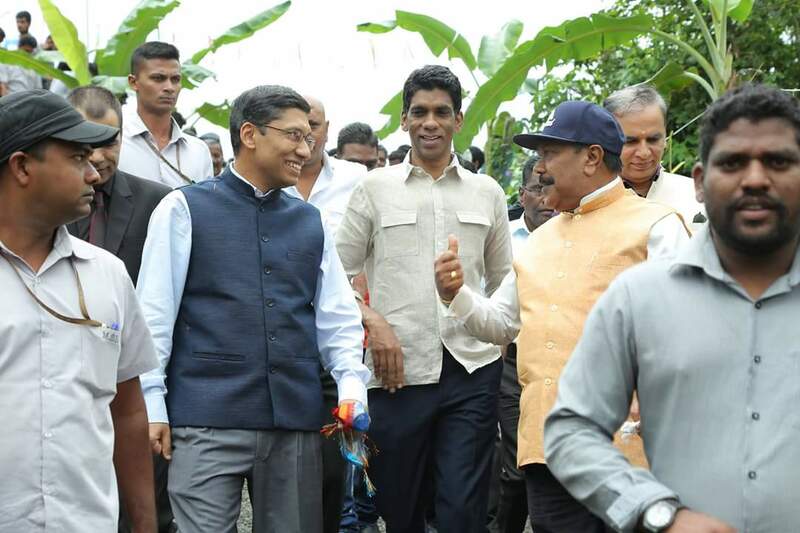 In a special ceremony held on June 4, 2018, at Madakumbura Estate in Punduloya, Nuwara Eliya District foundation stone was laid for construction of 250 new houses under the Indian Housing Project. Minister for Hill country New Villages, Infrastructure and Community Development Hon. Palani Digambaram, State Minister for Education Hon. V.S. Radhakrishnan and Acting High Commissioner of India H.E. 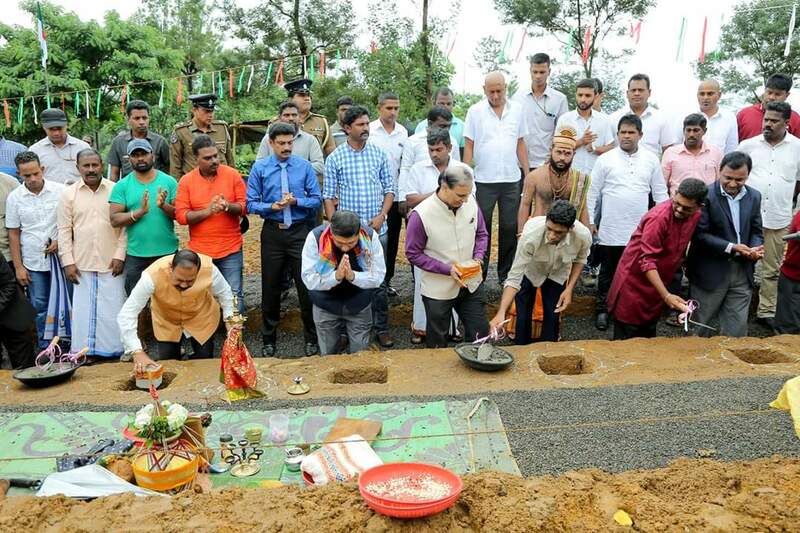 Mr. Arindam Bagchi jointly laid the foundation stones. Member of Parliament Hon. 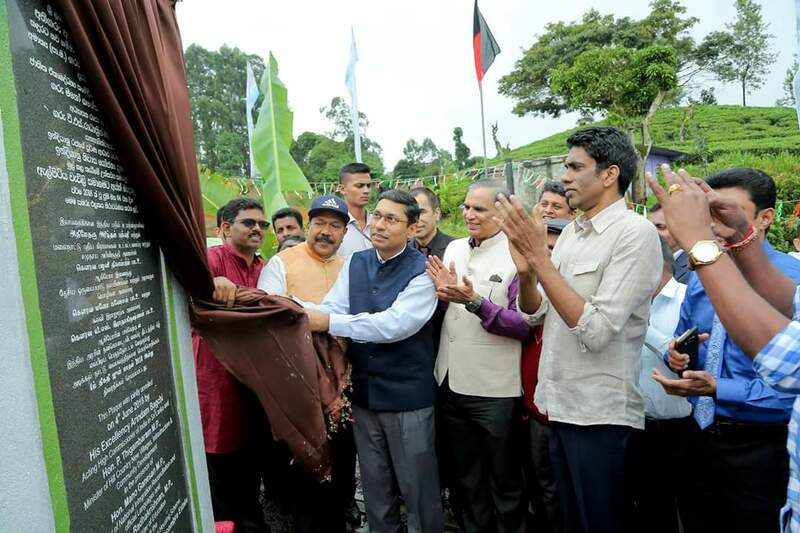 Thilakraj, Members of Central Provincial Council, senior Government officials as well as officials from Plantation Human Development Trust(PHDT), Plantation and Estate Management participated in the ceremony. 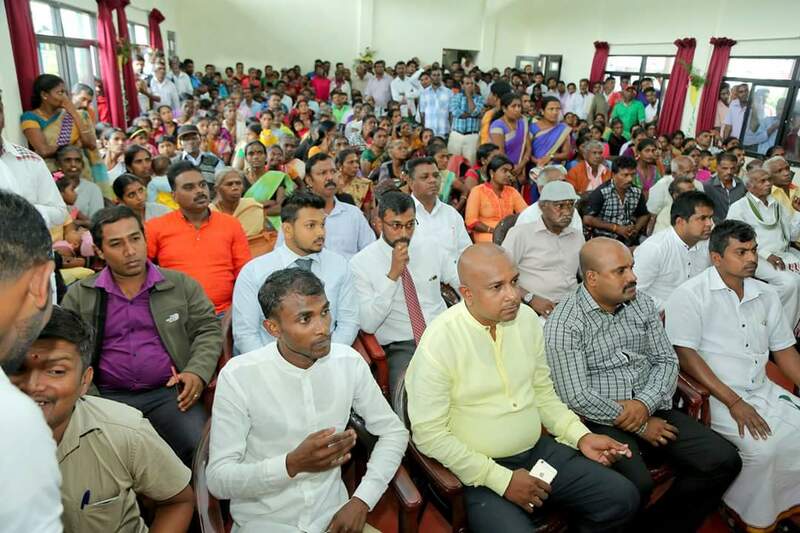 A large number of people from the Madakumbura Estate attended the function. In a similar ceremony held at Vellaioya Estate in Hatton same day foundation stone for construction of 50 new houses was laid. Hon. 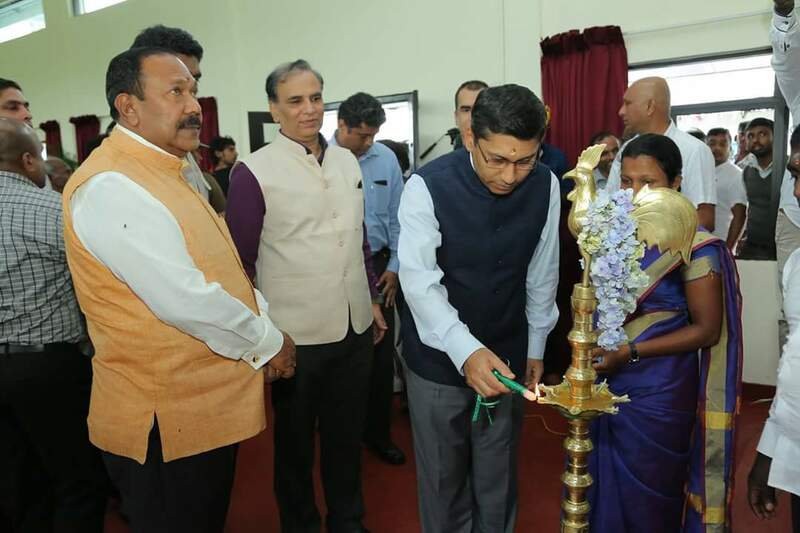 Ministers were joined by Assistant High Commissioner of India in Kandy Mr. Dhirendra Singh for this ceremony. 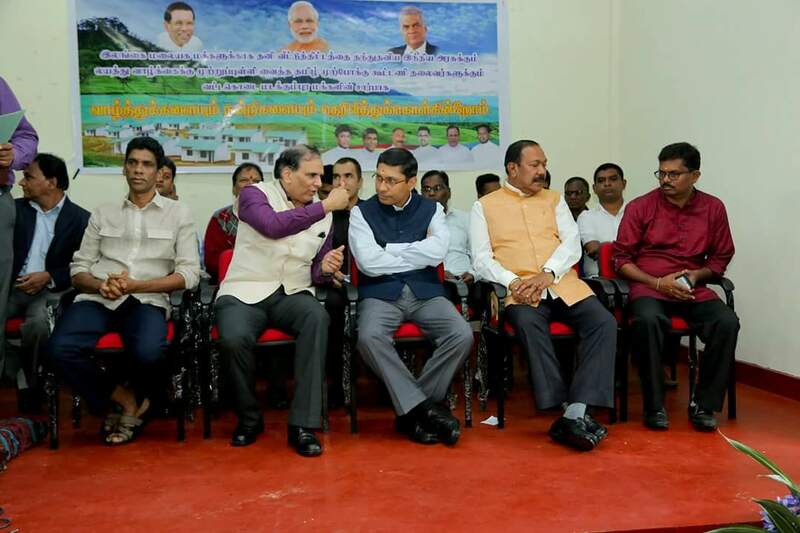 Government of India has committed a total of 14,000 houses in the Plantation areas including the 10,000 houses announced by Hon’ble Prime Minister of India Shri Narendra Modi. Around 1000 houses out of these are nearly complete. The foundation stones laid at Madakumbura and Vellaioya Estates marks the start of another 3000 houses in phases in as many as 40 estates and around 70 locations/divisions. UN Habitat is the implementing agency for the houses being constructed at Madakumbura Estate and IFRC/SLRC is the implementing agency for Vellaioya Estate houses on behalf of High Commission of India.